Wearable tech may be the future, but we're still heavily reliant on the materials that we've been using for years in bigger devices like smartphones – largely metal and plastic. The problem is, these are simply too bulky for many wearable innovations. 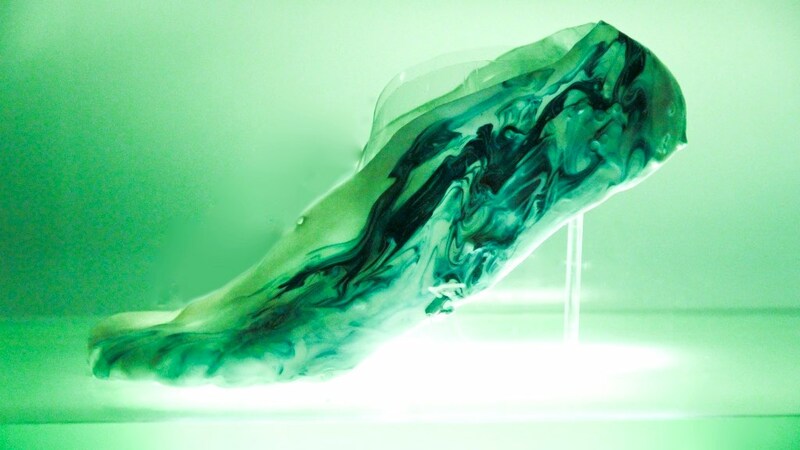 What we need is a whole new range of flexible smart textiles to get us to the next level. The researchers, from the University of Oulu in Finland, hope to build a multi-energy-harvesting device within the next year, so it's possible that KBNNO could be used in consumer gadgets by the end of the decade. Another innovation that could crop up in future wearables is a smart fabric that's able to harvest energy from both the sun and human motion. It converts this energy into electricity using fibre-based solar cells and nanogenerators, then it's stored as chemical energy in fibre-shaped supercapacitors. The self-charging textile system can then be woven into fabrics to create smart clothing capable of powering portable devices like smartphones. So far, a t-shirt-based prototype has been developed by teams from Georgia Institute of Technology and the Beijing Institute of Nanoenergy and Nanosystems at the Chinese Academy of Sciences. It's capable of powering a small sensor or LED, but the researchers hope to create more powerful designs in future, including garments that can be put through the wash. Researchers from Purdue University have devised a paper-based patch that changes colour to show different levels of hydration. The palm-sized patch is made from filter paper that's been laser-machined to create a radial array of strips. These are laminated with a waterproof film, forming a series of micro channels which are then loaded with a water-activated dye at one end. As sweat levels increase, the strips are activated in sequence, changing from blue to red to give an at-a-glance indicator of hydration levels. The inventors have filed for a patent and believe that the design could be most useful for marathon runners and military personnel, though it's possible that the technology could be integrated into mainstream trackers in some way in future. Not only is graphene an excellent conductor of electricity, it's also incredibly flexible – meaning that it can be used to create barely-there electrical components that allow for 'bendy' displays. While most wearables rely on rigid components fixed onto straps of some kind, graphene could turn fabrics themselves into flexible electronic components. Researchers at the University of Cambridge and Jiangnan University have already devised a method for integrating graphene-based inks into cotton. What's more, a team from Beijing's Tsinghua University has created a silk that's both conductive and durable by feeding silkworms with leaves covered with carbon nanotubes of graphene. Both of these methods could put wearable tech directly into clothes or wristbands in future. One innovation could turn jackets and other clothing into solar-powered batteries for portable gadgets. Inspired by Marty McFly's self-lacing trainers from Back To The Future Part II, a researcher at University of Central Florida developed filaments that harvest and store energy from the sun. These thin, flexible copper ribbons have a solar cell on one side coupled with energy-storing layers on the other and can be woven into yarn. The fact that the filaments themselves can store energy means there's no need for a bulky battery to channel the power into. The researchers believe that the technology would be ideal for military use, but that it could also be used to power smartphones in future. As new skinpatch-based wearables are developed, German firm Covestro wants to make them more comfortable to wear. The company has developed a patch that uses a film made of thermoplastic polyurethane, a plastic material that can be adapted to many different forms and that is used in a variety of goods from foam insulation to condoms. Designed for comfort, the patch is both breathable and hypoallergenic and is designed to protect the embedded electronics. It's attached using a solvent-free, water-repellent adhesive. The patch is aimed primarily at medical uses, though the material could eventually be integrated into consumer wearables. A fibre based on the electric eel's ability to generate deadly shocks and stun its prey could eventually be used to power wearable devices. The eel's electric system is comprised of a series of low-voltage cells, each capable of generating a tiny electric charge. When thousands of these plates are stacked together, the eel's electricity-producing abdominal organs can produce a far greater voltage. The synthetic fibres, created by researchers at Fudan University in Shanghai, are designed to mimic the eel's electric system using tiny conductive nanotubes spun into a stretchy fibre. The team found that a fibre 12m (39-foot) long was able to generate an impressive 1,000 volts. In future, these fibres could be woven into everyday clothes to power wearable devices, though the technology can currently only store electricity, rather than generate it, so there's still work to be done.